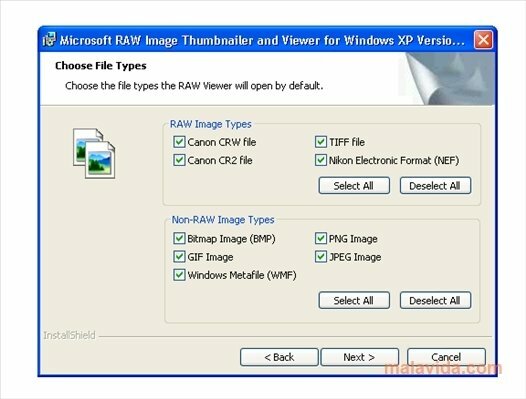 RAW Image Thumbnailer and Viewer is a complement for Windows that will allow you to be able to view RAW images from the file explorer, as we would do with JPG, GIF and BMP files, thus making it easier to select those photographs that you want to delete, copy or edit. The RAW format is used by high range and professional cameras, and uses a compression system without losing data, in such a way that, when you send your photos to any computer, it is possible to configure the size, the color depth or the contrast, before transforming it into a standard file. 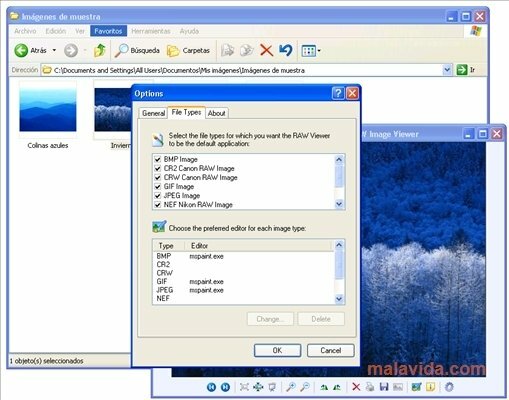 The solution developed by Microsoft offers the user the possibility to preview the images by means of the Image Color Management system, doesn't require any kind of configuration and it has a system with which the function of opening files will be more dynamic. 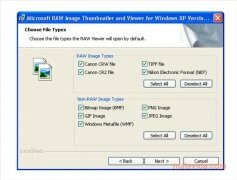 If you have a camera that generates RAW files and you want to be able to preview the images before sending them to your favorite editor or distribute them over the Internet, you should install RAW Image Thumbnailer and Viewer, an ideal complement for photography enthusiasts. It only works with Windows XP SP2 or SP3. It requires that you have Microsoft .NET Framework 1.1 installed.